A $6.75 million project to install an anaerobic digester at a 50 MMgy ethanol plant in Milton, Wis., will begin in a few weeks. United Ethanol LLC will complete the project with the help of $2.25 million in state energy program funds. It's a way to extract a little more value out of our inputs, the corn, and make the plant greener and more energy efficient, said Alan Jentz, United Cooperative and United Ethanol vice president of grain operations and risk management. On Oct. 21, Wisconsin Gov. Jim Doyle announced $2.95 million in funding for three southern Wisconsin companies, including United Ethanol. The money comes from Wisconsin?s economic development tax credits and energy program, which is funded through the American Recovery and Reinvestment Act. The other two projects were $250,000 in tax credits for Standard Process Inc., a whole food supplements company, and $450,000 in energy program funds for Idle Free Systems Inc., which sells battery-powered, idle-elimination systems for over-the-road trucks. In total, more than $55 million in state energy funds from the recovery act are being used in Wisconsin to help manufacturers with energy efficiency and renewable energy projects. According to the governor's office, Wisconsin is the only state using 100 percent of these funds for these types of projects. In August, Ace Ethanol LLC received $595,000 in funding from the same program for heat exchange equipment. United Ethanol's anaerobic digester will utilize a portion of the plant's thin stillage to create methane, which will help reduce natural gas use at the plant by up to 25 percent. The project will have an estimated four-year payback, Jentz said. The project has multiple benefits, including reducing the plant's carbon footprint. The anaerobic digester is also expected to reduce the number of fermentation solids that have to be recycled, reduce fermentation inhibitors, reduce evaporator bottlenecks and eliminate syrup load-out, Jentz said. Technology provider Eisenmann Corp. will install the digester. The project should take about a year to complete. We hope to get that under way here in the next few weeks, so hopefully it will be online by this time next year,? he said. Anaerobic digestion isn?t the only technology upgrade project United Ethanol has on its plate. David Cramer, president and CEO, mentioned three projects in the company's August newsletter. The company is working to tie in the CO2 scrubber stack and process vent gas scrubber stack into the regenerative thermal oxidizer for odor control. In addition, it has a license agreement with GreenShift Corp. to use its corn oil extraction technology. United Ethanol has also contracted with Arisdyne Systems Inc. to install controlled flow cavitation, a patented process to reduce particle size, disrupt cell structures and disperse agglomerates for increased ethanol yield. 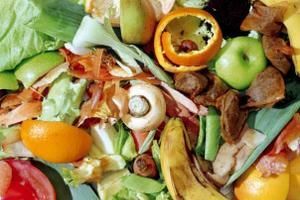 The government must prioritise food waste for anaerobic digestion due to the benefit of energy generation, a renewables trade body has claimed. In response to the coalition's Waste Review, which closed yesterday (October 7), the Anaerobic Digestion and Biogas Association (ADBA) has called for food waste to go to AD over composting and incineration. And, it has stressed the need for a massive increase in household food waste collection and is advocating separate collections, where households have a bin reserved for food waste, so that the "valuable" resource can be more easily used for AD. ADBA notes that the coalition is committed to a ‘huge increase in energy from waste through anaerobic digestion', but claims that the government will fail to achieve this unless the waste is made available for digestion. This will require changes to waste collection, and priority for treatment through AD, it says. With cuts imminent in this month's Spending Review, ADBA highlights that many local authorities may be considering shelving schemes to segregate food. However, the association claims that while there are short term savings available now, they will lead to much higher costs to the whole community in the medium term, "especially if we do not build an infrastructure to deal with organic waste away from landfill". According to ADBA, processing waste through AD offers a sustainable solution for landfill waste, with the added benefit of preserving crucial finite nutrients, such as nitrates and phosphorus. "The government knows it must act now to meet the UK's responsibilities on climate change. Committing to AD technology was a good first step, but it must be followed up by the right decisions about how we deal with waste if the industry is to flourish." "We need to collect food waste and prioritise it for AD, so that it can make the maximum possible contribution to targets for renewable energy, climate change, landfill mitigation and preserving resources such as phosphorus. This review needs to do more than move towards a "zero-waste" economy, it must also ensure we maximise the use of waste as a valuable resource." The association added that if supported appropriately, AD could meet up to 40% of the UK's target for renewable heat production by 2020. Launching a new report, Going to waste: Making the case for energy from waste, the leading business group highlighted the important role that energy from waste could play in a broad-based energy mix, which improves energy security. Technologies include using anaerobic digestion, where biological processes produce bio-gas from waste, and incineration. These provide consistent and reliable power supplies, unaffected by the weather, and are not imported. With strong leadership from the Government on planning, financing and procurement, the UK could quadruple the proportion of energy it generates from waste from 1.5% to 6% by 2015. And the CBI warned that unless urgent steps are taken to cut landfill use, the UK will face fines from the European Union of around £182.5m a year. “We cannot continue dumping rubbish in landfill sites. Waste that can’t be recycled could be used to heat homes and produce electricity, as well as improving our energy security. The report focuses on the family of energy from waste technologies, which can be broadly divided into biological and thermal types. Anaerobic digestion can be used on-site to produce heat and electricity, or injected into the National Grid after being purified. Thermal treatments include technologies, such as gasification and pyrolysis, which involve heating waste to produce gas, as well as incineration. The CBI argues that non-recyclable waste should be incinerated, and emphasises that it is cleaner, more efficient, and environmentally sounder than burning fossil fuels or relying on landfill. Recognising the important role that energy from waste could play in reducing the UK’s landfill, securing energy supplies and increasing the proportion of renewable sources;Avoiding picking winners from the various energy from waste technologies and allowing the market to decide the most cost effective option;Reassuring the public that delivering more energy from waste is compatible with high levels of recycling and that new plants are clean and safe. Rapid growth of the anaerobic digestion sector has been highlighted by the adoption of the technology by a Suffolk brewery. Adnams Brewery has introduced anaerobic digestors to its Southwold plant to turn waste from the site and surrounding companies into biogas for the national grid. Climate change minister Greg Barker expressed his delight at the move as it follows the announcement that Thames Water and British Gas will turn sewage into biogas. He said: "This has been an excellent week for progress in renewable energy. As well as the waste from making beer, Adnams Bio Energy is taking in food waste from local businesses large and small." Adnams claimed that the waste by-products generated from brewing 600 pints of beer could generate enough gas for one home a day. In addition to producing power for the local community, the gas will also be used to power the Southwold brewery and run its fleet of vehicles. An anaerobic digestion facility in Suffolk has become the first plant in the UK to produce renewable gas from brewery and local food waste for export to the National Grid, and only the second AD plant in the UK to inject biomethane into the gas network. Adnams Bio Energy delivered the first biomethane late last week (October 8) from its AD plant in Southwold; just three days after Didcot sewage works in Oxfordshire celebrated being the first project to send renewable gas produced from sewage to the grid (see this NewEnergyFocus.com story). In partnership with British Gas and National Grid, Adnams Bio Energy says it will generate up to 4.8 million kWh per year, which it claims is enough to heat around 235 family homes for a year. In the future, the facility will also produce enough renewable gas to power the Adnams brewery and run its fleet of lorries while still leaving up to 60% of the output for injection into the National Grid. Waitrose is the first business to sign up to supply waste to the facility and has committed to sending food waste from seven of its nearby branches, along with a John Lewis. Commenting on the project, Mike Walters, recycling and waste operations manager for Waitrose and John Lewis, said: "We are delighted to be the first retailer to become involved with Adnams Bio Energy in this exciting project. He added: "This project is unique as it produces renewable gas from brewery and food waste for injection into the national gas grid rather than to generate electricity." The Adnams Bio Energy plant consists of three digesters, which are sealed vessels in which naturally-occurring bacteria act without oxygen to break down up to 12,500 tonnes of organic waste each year. The result is the production of renewable gas as well as a liquid organic fertiliser. In addition, following an agreement with British Gas, Adnams Bio Energy has deployed solar thermal panels and will shortly install photovoltaic cells to generate renewable electricity for the plant. The deal will ensure that all of the site, including the Adnams Distribution Centre, will be using renewable energy generated on-site with some surplus energy available for export. Chief Executive of Adnams, Andy Wood, commented: "We are delighted that Adnams Bio Energy is located on the site of our eco-distribution centre. For a number of years now, Adnams has been investing in ways to reduce our impact on the environment. The reality of being able to convert our own brewing waste and local food waste to power Adnams' brewery and vehicles, as well as the wider community is very exciting. "The industrial ecology cycle is completed when the fertiliser produced from the anaerobic digestion process can be used on farmland to grow barley for Adnams beer. This facility will have a major impact on the reduction of carbon emissions in the region and the production of renewable energy. The food waste would otherwise be destined for landfill, but processing it through the digester will save an estimated 50,000 tonnes of CO2 equivalents from landfill." Construction of the AD plant concluded in July (see this NewEnergyFocus.com story). Specialist Engineering Project Management company PROjEN PLC, based in Preston Brook, Cheshire has formed an Alliance with Doctor Les Gornall who is widely regarded as the UK?s leading expert in Anaerobic Digestion and Waste Water Treatment. Online PR News – 11-October-2010 – Specialist Engineering Project Management company PROjEN PLC, based in Preston Brook, Cheshire has formed an Alliance with Doctor Les Gornall who is widely regarded as the UK?s leading expert in Anaerobic Digestion and Waste Water Treatment. This partnership gives even greater weight to PROjEN?s service offering and demonstrates the company?s commitment in becoming the UK?s leading supplier in all aspects of waste management, including de-packaging, anaerobic digestion, CHP and conversion of waste heat to electricity. Dr Gornall has over 30 years experience of building, operating, designing and commissioning anaerobic digesters and waste water treatment plants. He has become an internationally recognised environmental consultant who has extensive experience in waste and biogas issues across the world. He has written many papers for technical magazines and is often quoted by his pseudonym ?Dr Sludge?. ?PROjEN?s strength is that when we offer a service we ensure we can add value to the client. We recognise that no one individual or company has all the answers and by working with like minded associates we can each focus on our own strengths. Through Les? extensive knowledge of the waste market and our own award winning history in project and construction management we feel we are able to offer our clients a much stronger package than our competitors?. In addition to working with Dr Gornall PROjEN have also renewed their distributor agreement with FreePower - this product generates electricity from waste heat and will become a major talking point this year in both waste and industrial applications. PROjEN have also formed an alliance with Axion Consulting ? process experts in the field of waste and recycling. The Chaput Family Farm in North Troy has installed a 300-kilowatt anaerobic digestion facility to turn organic materials like manure into biogas for use generating electricity. Electricity produced by the project will meet all of the farm’s needs, with excess power sold to the local utility. The facility will also provide heat and hot water for the dairy herd. As well as producing clean energy, the facility will also produce a solid residue that provides an effective alternative to fertilizer. Anaerobic digestion involves microbes feeding on liquidized organic material within large tanks, and in the process giving off a methane-rich biogas that can be collected and combusted to produce electricity. The Chaput Family, which owns four farms, built the digester to handle manure from 1,600 mature cows and young stock. The digester project in North Troy was given financial assistance by the USDA through its Rural Energy for America Program, authorized by the 2008 Farm Bill. The REAP program offers development assistance, grants for energy audits and funds to help agricultural producers and rural small businesses purchase and install renewable energy systems and make energy efficiency improvements. USDA Rural Development Vermont State Director Molly Lambert was joined on the tour of the dairy farm by Rural Business-Cooperative Service Administrator Judith Canales and Farm Service Agency State Executive Director Robert Paquin. The federal Natural Resources Conservation Service provides technical and financial assistance to producers for anaerobic digesters through the Environmental Quality Incentives Program (EQIP), and this year funded four new digesters in Vermont. The NRCS also offers technical and financial help for other aspects of anaerobic digestion projects. The USDA’s Farm Service Agency (FSA) has now established a new conservation loan program that can be used to finance anaerobic digestion projects approved by the NRCS. Up to $300,000 in loans and up to $1.12 million in loan guarantees are available, and can be used along with other grants and loans. A high-speed, high-temperature HT200S laboratory digester from HACH LANGE has helped one of Europe’s largest recycled packaging companies to cut analysis times by 75%. By deploying the advanced HT200S, along with a DR2800 VIS Spectrophotometer at its biogas plant, the analysis of nutrient levels ensure that the site’s anaerobic reactor is running effectively, reducing analysis times by 75% as a result. Prior to analysis in a DR2800, samples are digested in the HT200S, with digestion times for Nitrogen, Phosphate and Chemical Oxygen Demand (COD), which previously took two hours, now taking just 15 minutes. The portable HT200S can provide numerous benefits for virtually every industry where COD, nitrogen, phosphate or metals analysis has to take place, saving significant maintenance time and costs in the process. Cirencester in Gloucestershire is to become one of the first towns in the UK to benefit from power generated using chicken litter. The power plant which is due to open in November is being built on a farm to the south of the market town. It will take animal waste as well as corn, wheat and grass from local farms and produce methane-rich biogas via a process of anaerobic digestion. The gas will be used to power a combined heat and power unit generating around 1MW of electricity, enough to supply 350 homes. The waste heat will be used for keeping the animal sheds warm, drying grain and local housing. After the biogas is extracted the fibrous material left is spread on the land as fertilizer. The plant is being supplied by Alfagy who is looking to set up similar facilites throughout the UK.